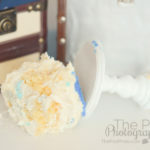 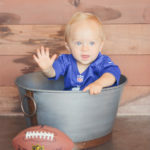 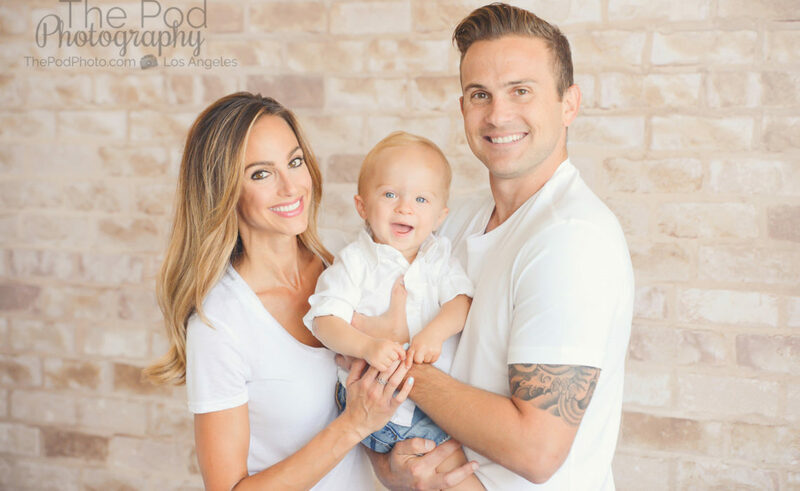 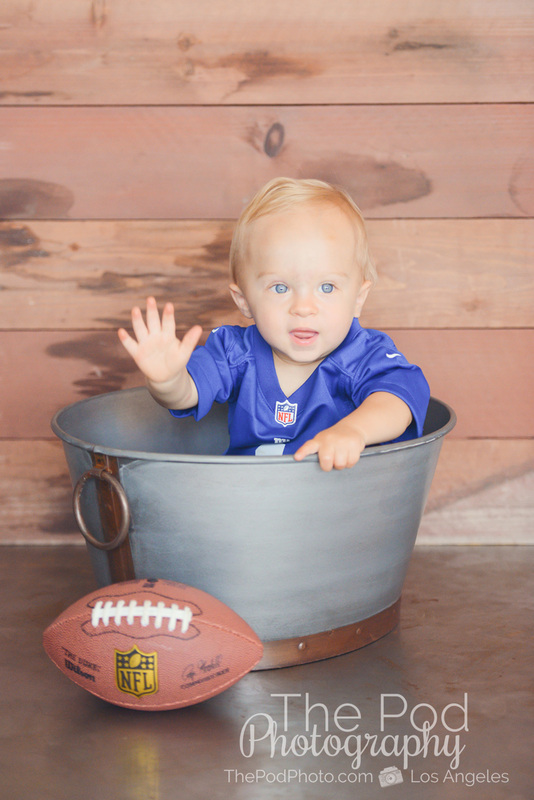 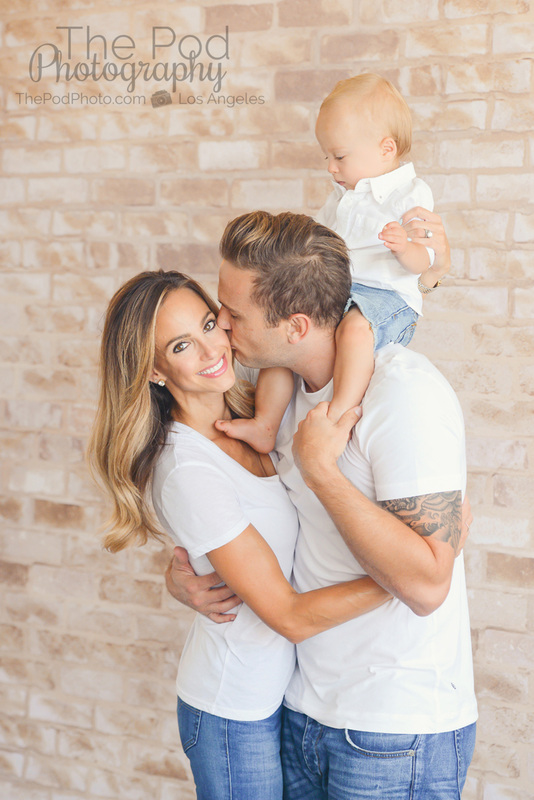 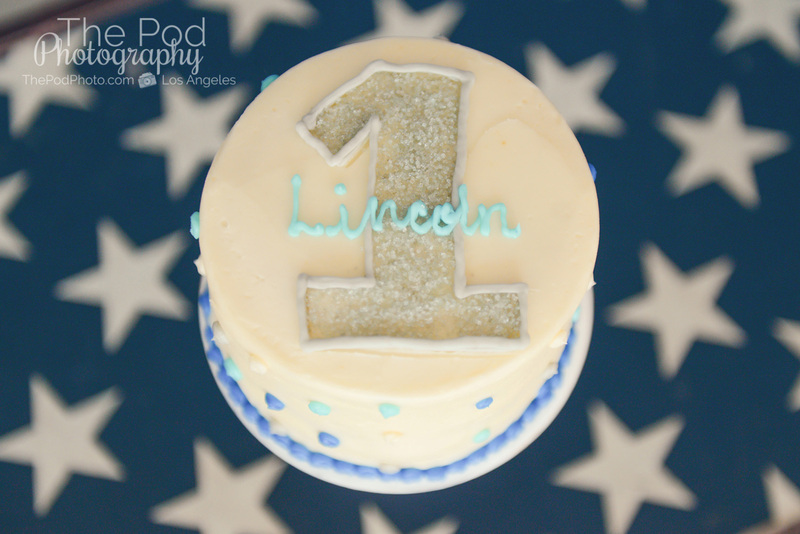 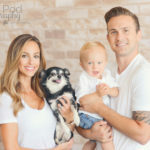 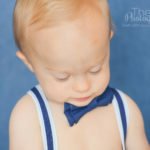 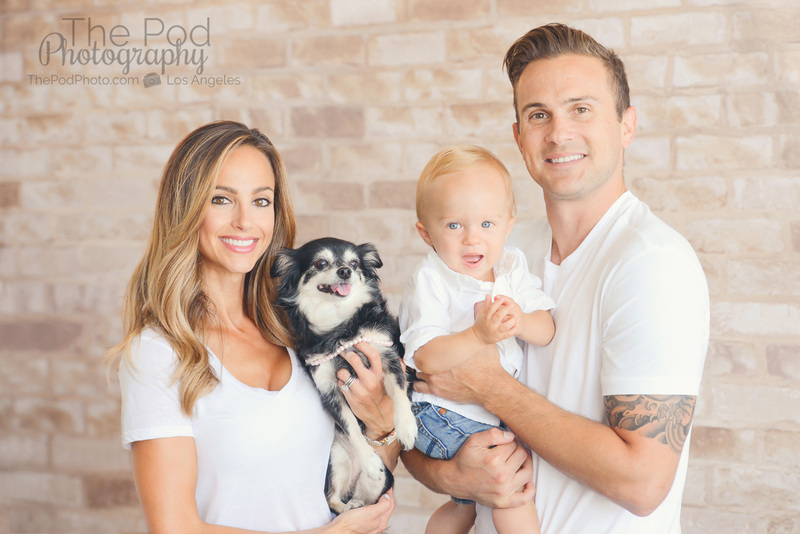 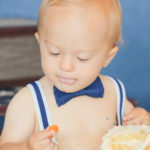 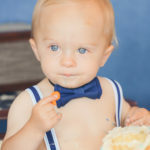 Beverly Hills Family Photography | All American Boy Cake Smash Photo Session - Los Angeles based photo studio, The Pod Photography, specializing in maternity, newborn, baby, first birthday cake smash and family pictures. 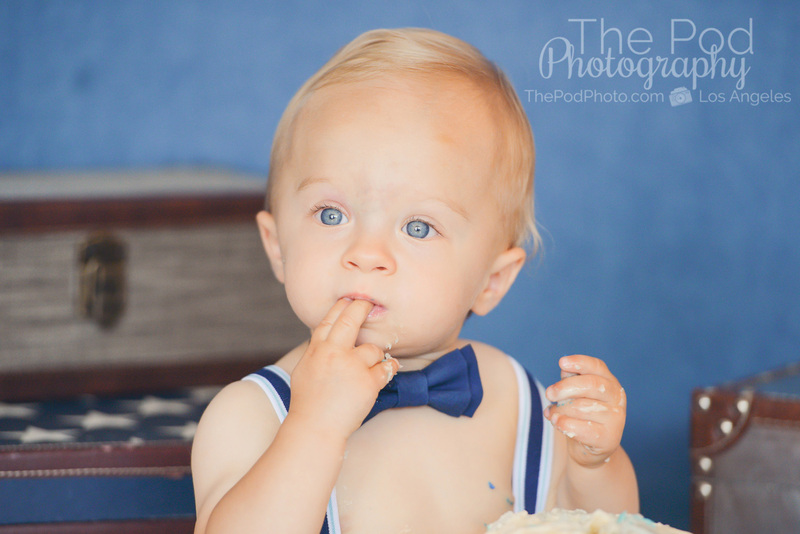 One year is such a great age to document, and the perfect time to update your family photos! 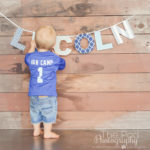 We met this family when Baby Lincoln was just a few days old, and now that he is at his big one year milestone, Mom and Dad wanted to capture the growth of this little man with some gorgeous family portraits! 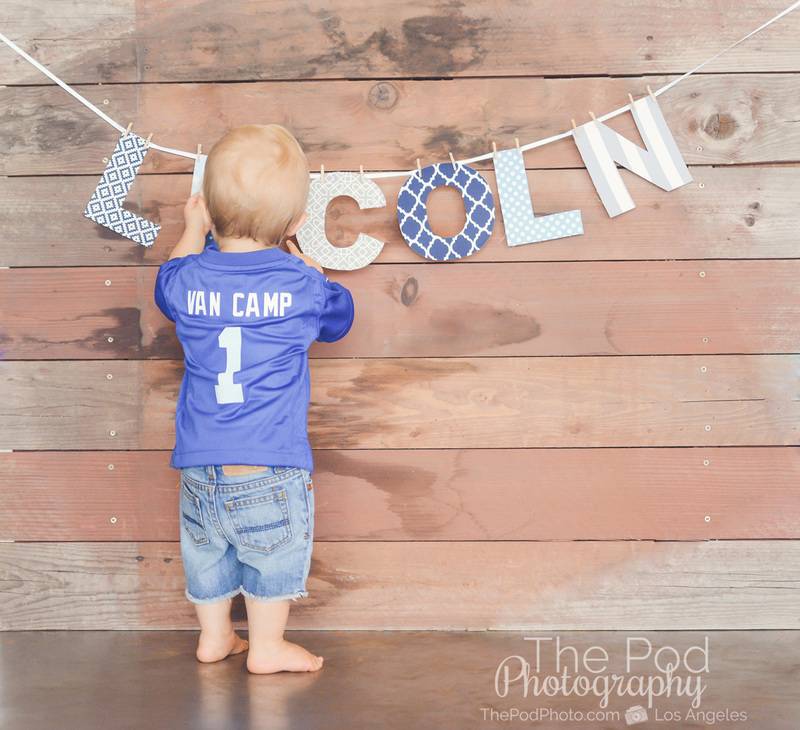 For Lincoln’s individual baby pictures, Dad had a little football jersey made up with their last name and a “1” to represent his age. 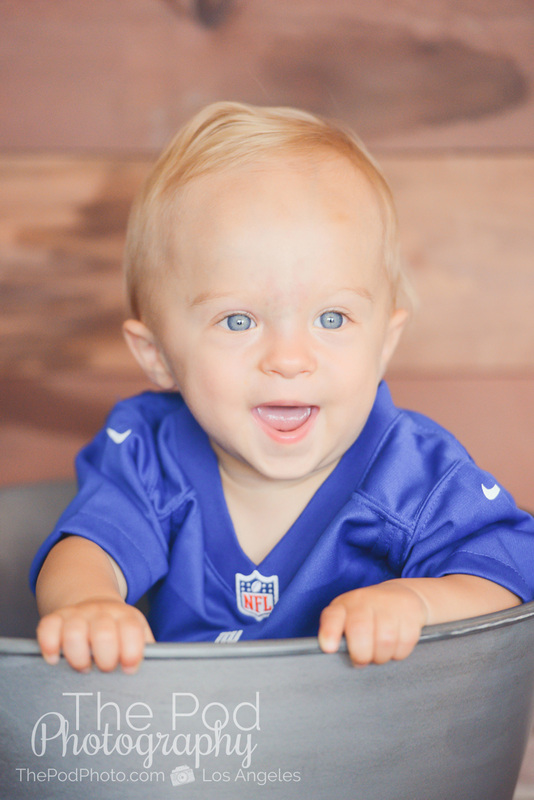 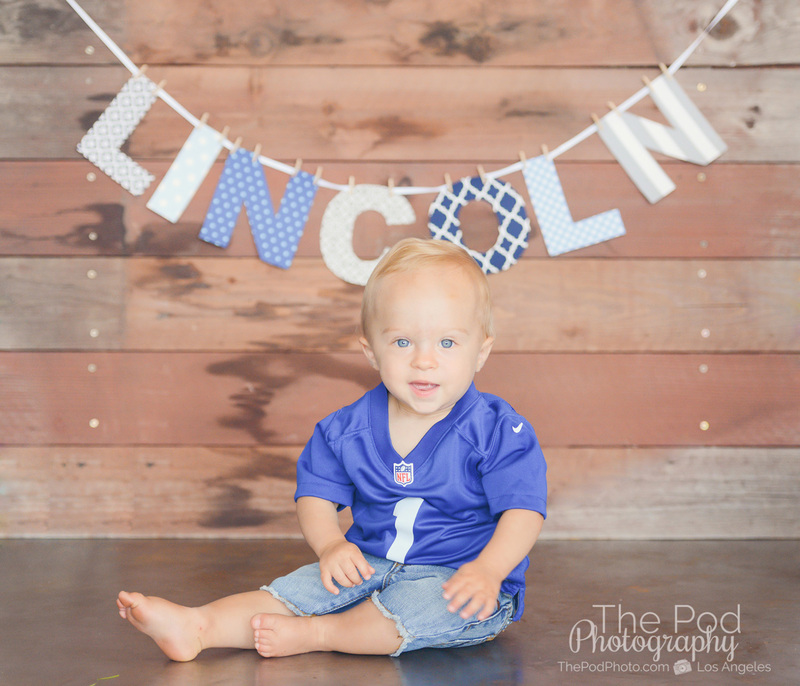 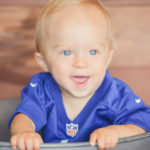 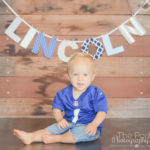 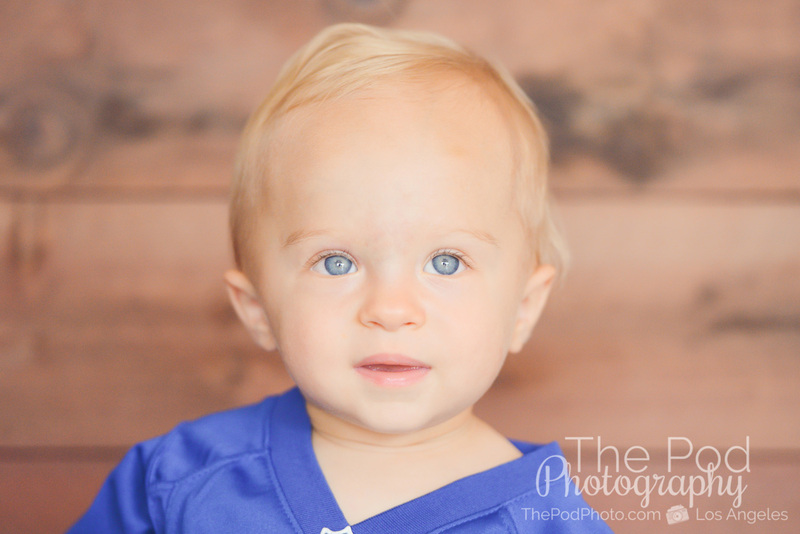 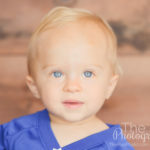 The jersey was adorable on him and that royal blue just made Lincoln’s eyes POP! 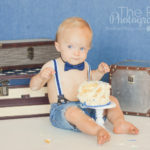 The overall styling for this Beverly Hills one year and family photography session was “All American Boy” and Mom wanted the colors to be neutrals and blue with a bit of a rustic flare. 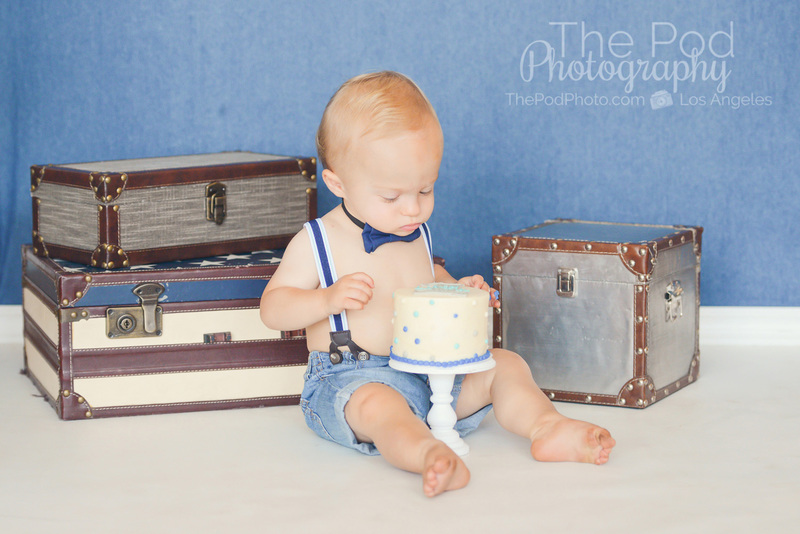 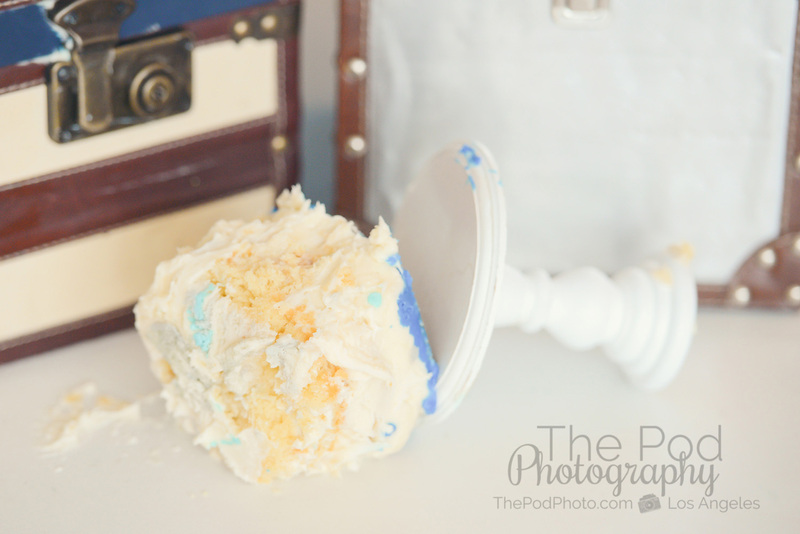 A modified version of our popular Traveler Set was perfect for the cake smash portion of his shoot – especially our suitcase with stars! 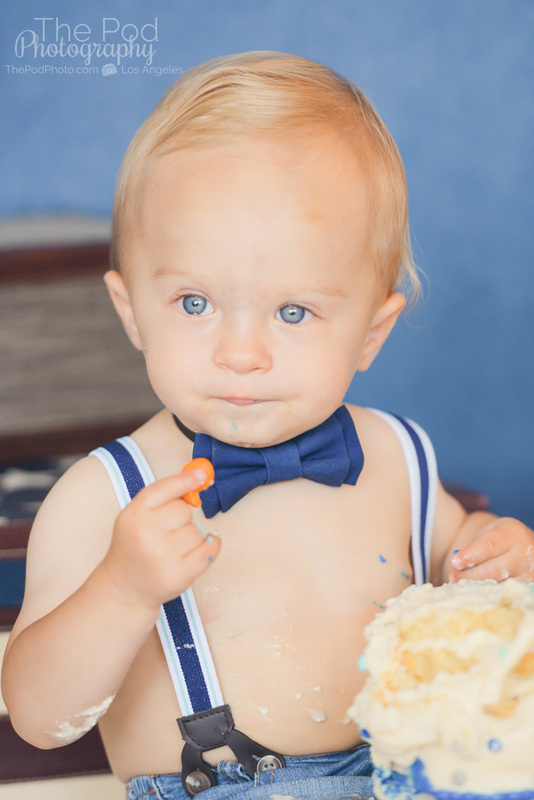 Lincoln was skeptical of his cake, but he did start to get interested in it once we hid some goldfish in there! 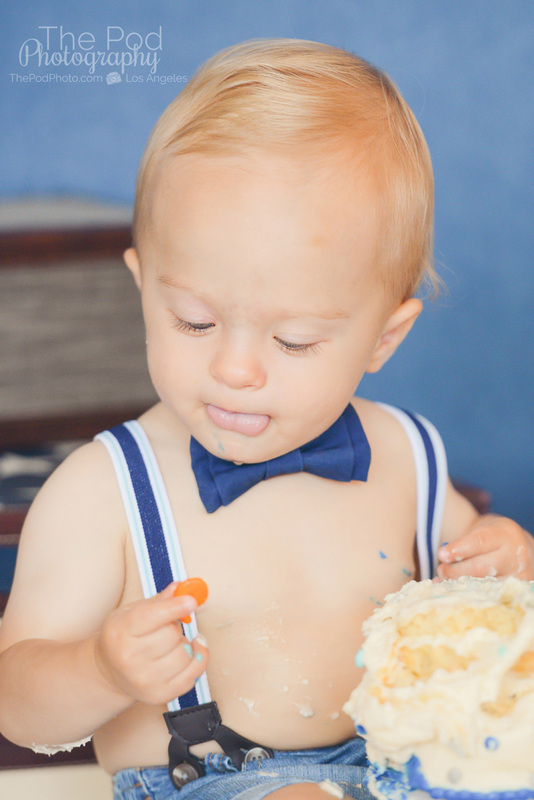 Hey, it may not be cake that he’s eating, but a little trickery got us some darling photos of this little man and his birthday cake! 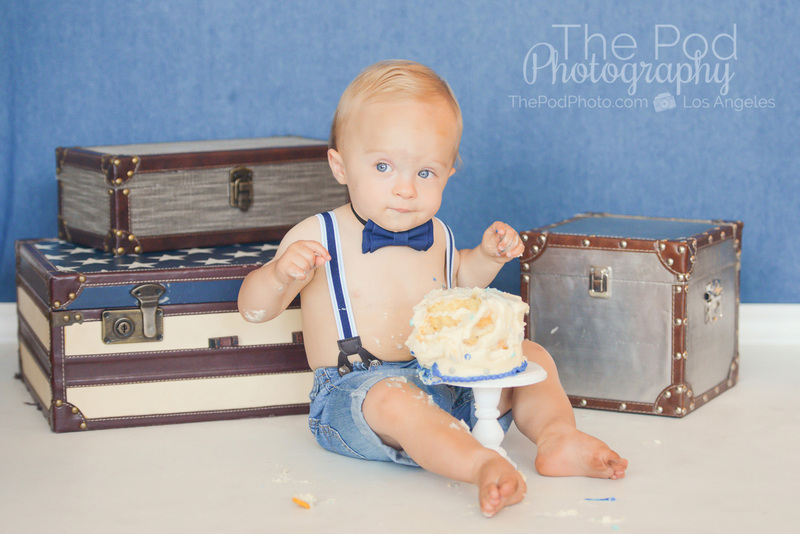 All American Boy Cake Smash! 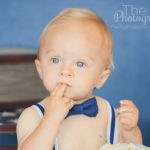 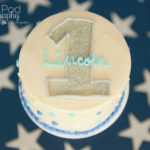 Don’t miss out on capturing your baby’s big one year milestone! 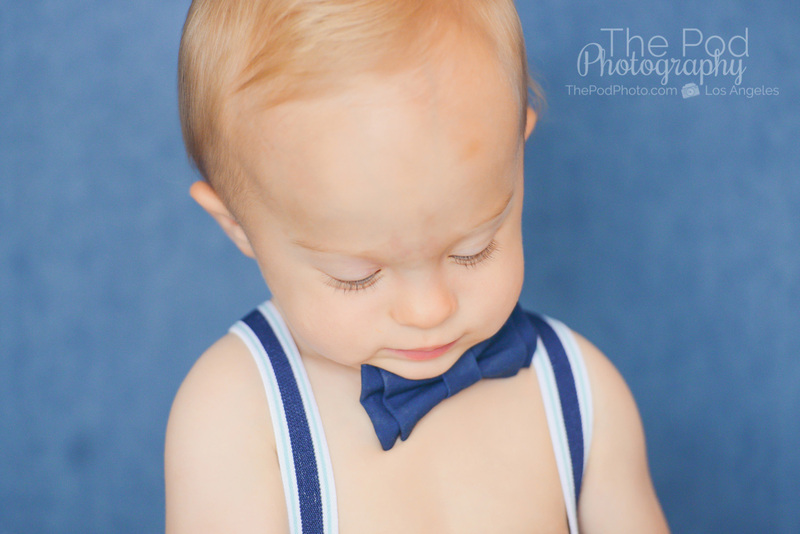 Call our Beverly Hills photography studio today to schedule your consultation and meet your photographer! 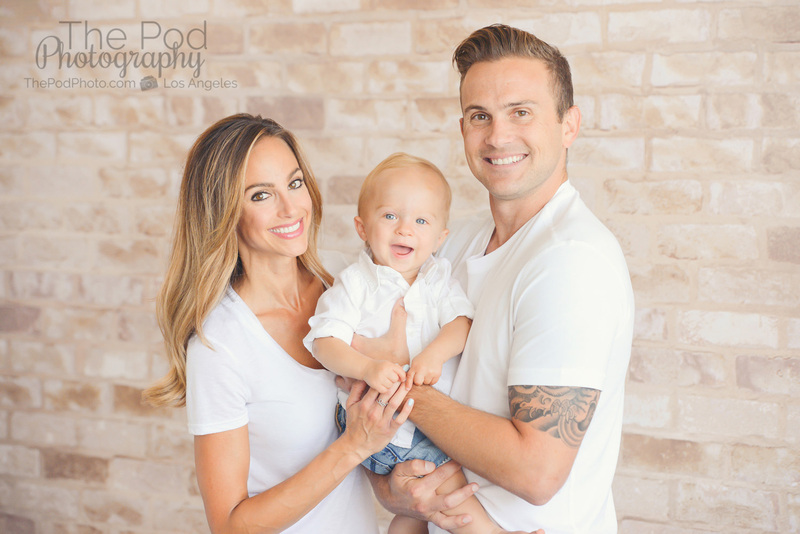 We see families from all over Los Angeles and neighborhoods surrounding Beverly Hills.